These Chicken Roll-Ups are filled with wonderful Italian flavors and are perfect for a low carb entree! Like most people, I *love* Italian food. 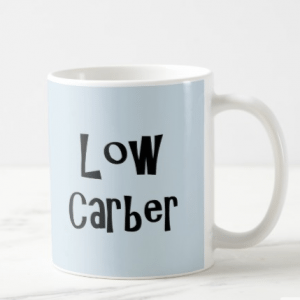 But as low-carbers we have to give up so much of it, or find processed low carb alternatives (which I do – frequently!). 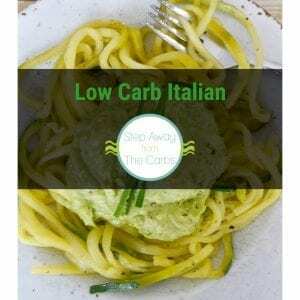 But if you like clean eating, then here’s a great low carb way of eating some Italian food! Like my Pizza Dip – I’ve taken some of the best flavors – tomato, cheese and herbs (like oregano and basil) and combined them into a delicious recipe! Prepare the filling for the chicken roll-ups by combining cream cheese, chopped sun-dried tomatoes, Italian seasoning and black pepper. Place a spoonful of the mixture at the end of thinly sliced chicken breasts (I buy mine pre-sliced). Roll them up and place them in a baking dish that you have sprayed with some olive oil. Mix together some canned tomato sauce (passata, not ketchup!) with some dried oregano – or more Italian seasoning if you prefer. Pour it over the chicken. Roast in a preheated oven for 30-40 minutes or until an internal temperature of 180F has been reached. A probe thermometer is very useful for this recipe! When the chicken is at 170F or so, sprinkle with grated cheese (I use an Italian blend), then return to the oven until the chicken has finished cooking. 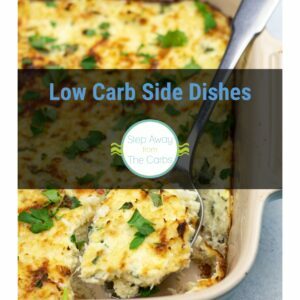 Serve with salad, green beans or a dish like my Sauteed Zucchini and Yellow Squash with Lemon and Basil or Lemon Garlic Broccoli. Spoon some of the sauce over the chicken when serving, although you won’t need all of it! Garnish with chopped fresh oregano or basil. Prepare the filling for the chicken roll-ups by combining cream cheese, chopped sun-dried tomatoes, Italian seasoning and black pepper. Place a spoonful of the mixture at the end of thinly sliced chicken breasts. Roll them up and place them in a baking dish that you have sprayed with some olive oil. Mix together the tomato sauce with the dried oregano and pour it over the chicken. Roast for 30-40 minutes or until an internal temperature of 180F has been reached. When the chicken is at 170F or so, sprinkle with grated cheese, then return to the oven until the chicken has finished cooking. Spoon some of the sauce over the chicken when serving. Garnish with chopped fresh oregano or basil. 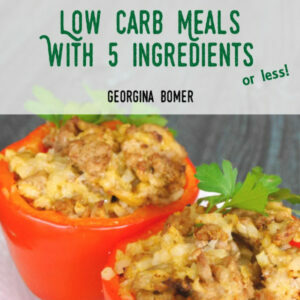 8g net carbs per serving Note: Only half the tomato sauce is included in the data as not all is required for serving. What a great weeknight dinner. I’ve never thought about filling chicken with cream cheese. Sounds very yummy! Low carb diets definitely take out a lot of Italian (pasta) options. 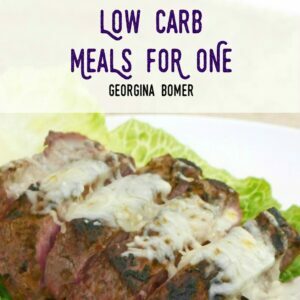 This is an excellent idea for low carb Italian and it sounds delicious! I made this recipe last night. It was very good, not excellent. I tried to figure out what it was and then I realized – garlic! It needs some garlic. So, next time (and I will be making it for a potluck in less than 2 weeks) I plan to salt the chicken breasts with garlic salt before filling and add some garlic powder to the tomato sauce. I used both oregano and basil in the sauce and that was good. Sounds like an awesome idea! My husband isn’t too keen on garlic so if I know that he’s going to eat it, sometimes I don’t think to include it.